Intermittent Fasting and Keto: How Are They Related? The topics of ketosis and intermittent fasting often fall within the same conversation. Why? Because intermittent fasting can be used as a tool to reach ketosis. When you fast, you deplete your body of glycogen stores. Once glycogen stores are gone, fat stores are released into your bloodstream to be converted into energy molecules (ketones) in the liver. This is the metabolic process we call ketosis. Just as intense and prolonged exercise (particularly HIIT training or lifting weights) can help induce a ketogenic state, intermittent fasting will make you enter ketosis faster than following a keto diet alone. There are many more overlaps between intermittent fasting and keto, which you’ll learn about below. What Is Intermittent Fasting And How Does It Relate To Ketosis? Ketosis is the process of burning ketone bodies for energy. On a regular carb-based diet, your body burns glucose, not ketones, as its primary fuel source. Excess glucose is stored as glycogen. When your body is deprived of glucose (due to exercise, intermittent fasting or a ketogenic diet) it will turn to glycogen for energy. Only after glycogen is depleted will your body start burning fat. Acetoacetate: It’s the ketone that’s created first. It can either be converted into beta-hydroxybutyrate or turned into acetone. Acetone: Created spontaneously from the breakdown of acetoacetate. It’s the most volatile ketone and is often detectable on the breath when someone first goes into ketosis. Beta-hydroxybutyrate (BHB): This is the ketone that’s actually used for energy and the most abundant in your blood once you’re fully into ketosis. It’s the type that’s found in exogenous ketones and what blood tests measure. Now, how does intermittent fasting fit into ketosis? Intermittent fasting consists of eating within a specific feeding window and not eating the remaining hours of the day. Every person, whether they’re aware of it or not, fasts overnight from dinner to breakfast, for example. There are many approaches to intermittent fasting — some people fast for 16-20 hours periods, on alternate days or following a 24-hour day fast. If you want to start fasting, one popular version is the 16/8 method, where you eat within an 8-hour eating window (ex. 11:00 a.m. to 7:00 p.m.), followed by a 16-hour fasting window. Other fasting schedules include the 20/4 or 14/10 methods. Others practice 24-hour fasts once or twice per week. Intermittent fasting can put you in ketosis faster because your cells will quickly consume your glycogen stores and start burning fat for fuel. But what about after you get into ketosis? Is intermittent fasting worth doing consistently? The ketogenic diet drastically decreases your carb intake, forcing your body to burn fat rather than glucose, making it an effective tool for weight loss. While individual results vary, keto has consistently led to a reduction in weight and body fat percentage in a wide range of situations. In a 2017 study, subjects who followed a low carbohydrate keto meal plan significantly decreased body weight, body fat percentage and fat mass, losing an average of 7.6 pounds and 2.6% body fat while maintaining lean muscle mass[*]. Similarly, a 2004 study observing the long-term effects of a ketogenic diet in obese patients found that weight and body mass of the patients decreased dramatically over the course of two years. Those who drastically reduced their carbohydrate intake saw a significant decrease in LDL (bad) cholesterol, triglycerides and improved insulin sensitivity[*]. In 2012, a study compared a ketogenic diet to eating fewer calories in obese children and adults. The results showed children following the keto diet lost significantly more body weight, fat mass and total waist circumference. They also showed a dramatic decrease in insulin levels, a biomarker of Type 2 diabetes[*]. Research has shown intermittent fasting can be an efficient weight loss tool and sometimes more effective than simply cutting calories. In one study, intermittent fasting was shown to be as effective as continuous calorie restriction in fighting obesity[*]. In studies done by the NIH, there was reported weight loss with over 84% of participants — no matter which fasting schedule they chose[*]. Like ketosis, intermittent fasting increases fat loss while maintaining lean muscle mass. In one study, researchers concluded that fasting resulted in greater weight loss (while preserving muscle) than a low-calorie diet, even though the total caloric intake was the same[*]. The bottom line is, if you’re trying to lose fat, doing ketosis and IF can be a huge help. But that’s not where the benefits stop. On a carb-based diet, the fluctuations in your blood sugar levels can cause fluctuations in energy levels (known as as sugar highs and sugar crashes). In ketosis, your brain uses a more consistent source of fuel: ketones from your fat stores, resulting in better productivity and mental performance. Why? Because your brain is the most energy-consuming organ in your body. When you have a clean and consistent energy supply from ketones, your brain functions better. On top of that, ketones are better at protecting your brain.Studies show ketone bodies may have antioxidant properties that protect your brain cells from free radicals, oxidative stress and damage[*]. In one study performed on adults with impaired memory, the rise of BHB ketones in their blood helped improve cognition[*]. If you have a hard time staying focused, your neurotransmitters may be to blame. Your brain has two main neurotransmitters: glutamate and GABA. Glutamate helps you form new memories, learn complicated concepts and gets your brain cells to communicate with each other. Any time you text, talk or think, you can thank glutamate for helping. GABA is what helps control glutamate. Glutamate can make your brain cells overly excited. If this happens too often, it can cause brain cells to stop working and eventually die. GABA is there to control and slow down glutamate[*]. When GABA levels are low, glutamate reigns free and you experience mental fog. What does this have to do with ketones? Ketones prevent damage to brain cells by processing excess glutamate into GABA. Since ketones increase GABA and decrease glutamate, they aid in preventing cell damage, avoiding cell death and improving your mental focus. In other words, ketones help keep your GABA and glutamate levels balanced so your brain stays sharp. Fasting has been shown improve your memory, reduce oxidative stress, and preserve your learning capabilities[*]. Scientists believe this happens because IF forces your cells to perform better. Because your cells are under mild stress while fasting, the best cells adapt to this stress by enhancing their own ability to cope, while the weakest cells die. This is similar to the stress your body undergoes when you hit the gym. Exercise is a form of stress your body endures to improve and get stronger, as long as you rest enough after your workouts. This also applies for intermittent fasting: As long as you continue to alternate between regular eating habits and fasting, it will continue to benefit you. All of this means both ketosis and IF can help improve your cognitive function thanks to the protective and energizing effects of ketones, as well as the mild cellular stress caused by fasting. The ketogenic diet and intermittent fasting have many of the same health benefits. Why? Because both methods can have the same result: a metabolic state known as ketosis. Ketosis has many physical and mental benefits, from weight and fat loss to improved stress levels, brain function, and longevity. Does intermittent fasting always cause ketosis? Absolutely not. If you take a more mild approach to intermittent fasting (for example, eating within an 8-hour window), you probably won’t enter ketosis (especially if you eat a high amount of carbs during that window). Plus, not everyone who tries intermittent fasting aims to enter ketosis. If someone who fasts also eats high-carb foods, there is a very good chance they’ll never enter ketosis. If, on the other hand, ketosis is the goal, ketoers can use intermittent fasting as a tool to get there and improve their overall health. Okay so what if you followed the intermittent fasting ‘example’ schedule of eating 12-8pm (or any 8 hr window) and the diet you followed during that time period was Ketogenic, so combining both methods? Sounds like an effective combo! I’m a diabetic and today my glucose level is 245. I’m wondering if I can still go into ketosis with my blood sugar at 245. I am weaning off my insulin in hopes of reversing my diabetes through either a ketogenic diet or intermittent fasting. Your help is appreciated. What can I drink during the fasting time frame? So when does ketosis really begin, do you know? I have done countless hours of research on this, and I find sources that say ketosis begins after 6 to 8 hours of fasting, and other sources say it begins after three days of fasting for men. That is a huge discrepancy. Does anyone have any real idea? Hi Becky, yes unsweetened black tea is fine! I have been following the ketogenic lifestyle for 9 months and have begun Intermittent fasting 23/1 for two weeks. Surprisingly I do not feel hungry and feel compelled to see if I can fast further to 48 hours and see what happens. My glucose level is 54 and my ketones are just 1.1. I am drinking water and chaga tea only. Will I be breaking the fast if I take e-lyte sport electrolyte concentrate to replenish my electrolytes? Hi Erin, it depends what type of fast you are doing: https://perfectketo.com/types-intermittent-fasting/. Water, coffee, tea, and bone broth are common drinks to consumer during fasts. It’s very individual, you have to see for yourself. It all depends on how much glycogen do you have stored in your body. Not to sound too ignorant after reading all this but if I’m trying to adhere to a ketogenic diet then fasting should get me there quicker, correct? Once you are in ketosis for a long period you no longer need to fast? Is the 16/8 only for fasting or do many on a ketogenic diet still adhere to this type of schedule? Hey Sam, no ignorance at all! All questions welcome :). It all depends on your goals here and how you feel. Many people find that they are less hungry when following a ketogenic lifestyle and being in ketosis so they end up fasting without even thinking about it. For example, I “fat fast” during the week by only having coffee with mct powder in the morning and then lunch around 2 p.m.. On weekends I like to enjoy brunch so I don’t usually fast then. It all depends on what works for your lifestyle and what your goals are! Sorry Christine it might be just me but to me this sounds like you have an eating disorder and need help. I have just started intermediate fasting, 16/8, for a week now and I feel great. I am curious if I can implement a ketones supplement (like the Perfect Keto) into this, and if so, is it something I would add into the 8 hour eating time or can/should it be used during the fasting time? 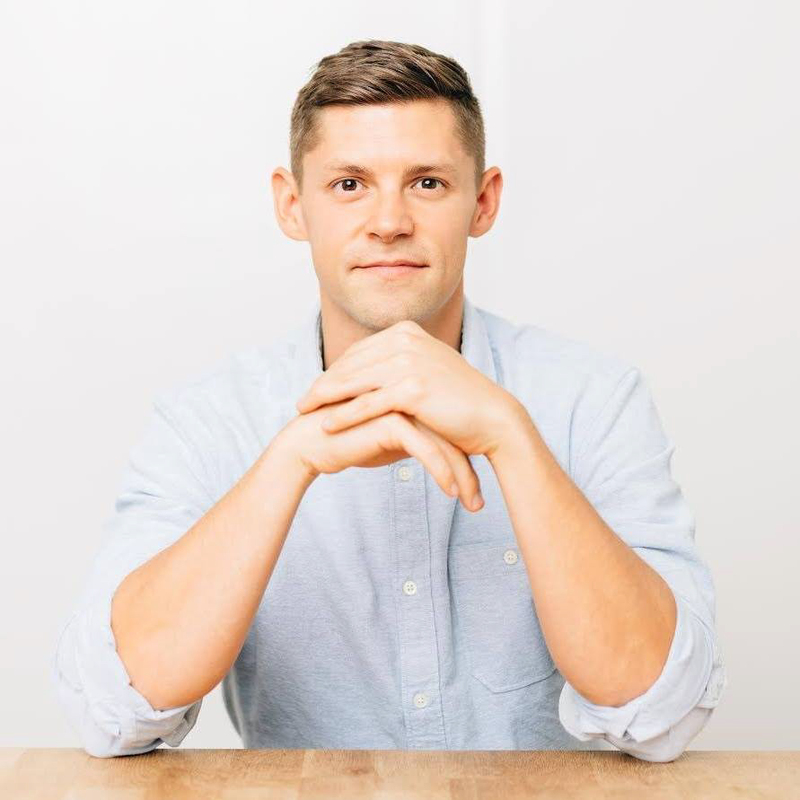 Josh, you can definitely implement the ketone supplement to help you during or fast or as another source of fuel during your eating window. Which is better for overall health and weight loss…the keto diet or intermittent fasting? I wonder, can I be ketonic when on a 6 hours eatingwindow while eating some carbs( 2 p of fruit) in this window? Sugar of any amount would break the fast. So far only water, some herbal teas and black coffee are the only things known to not break a fast. Products such as bullet proof coffee are keto diet friendly, but definitely not fasting friendly. Bone broth contains calories and will cause a digestive reaction, which would break the fast. However water, black coffee and most tea (nothing added) would be fine. Your body will fully switch to “fasting” ketosis after about 72 hours of no food. 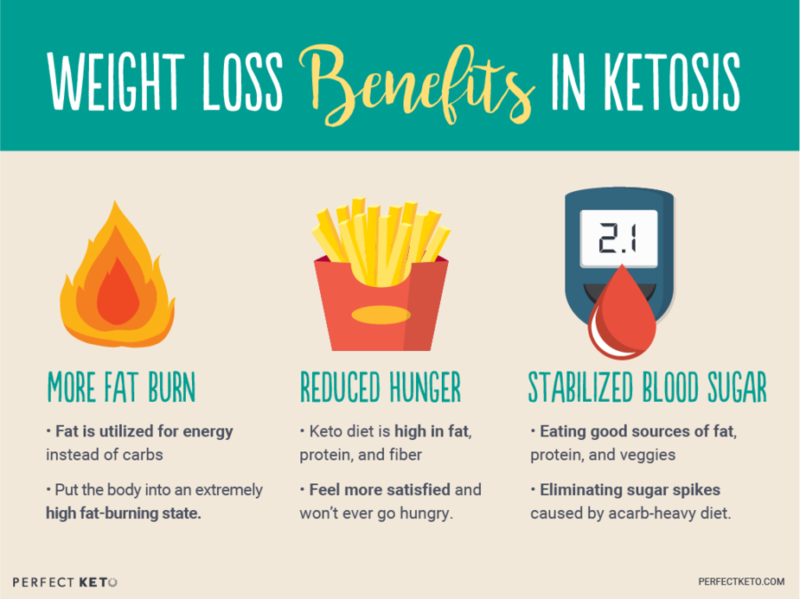 The same can be said of the lower level ketosis that is obtained via the keto diet as long as you are keeping the carbs under 20 grams a day during those three days and using exercise to burn off excess glucose stores. What you read about online in terms of 6 to 8 hours after eating is talking about the body the fact that digestion, depending on what and how much you eat, takes about 8 to 12 hours. After digestion is finished the body will begin the process of ketosis and after 72 hours glucose levels will continue to drop while ketone levels will rise. So in short, to be fully in a state of ketosis will take about 72 hours, maybe less or more depending on each person’s ability to switch. Keto adapted individuals can make the switch more easily than those who are not. I’ve been eating within a 4-5 window for the past two months and not only have I lost about 15 pounds without really needing it but I have really noticed a huge difference in body composition, I’m much leaner and toned then I have been before at the same weight. I don’t have many restrictions for my diet except no processed foods and low sugar. During my fast I only drink water, flat and sparkling with no flavor and black coffee. I honestly love eating this way, it’s so easy and I’m saving myself some money on food. Is it best to do intermittent fasting with the Keto diet every day or every other day? Hi Margo, you can check our blog about Intermittent Fasting 101: How Often Should You Intermittent Fast?